Save money on energy bills with proven attic insulation. Enhance your home and gain extra living space with a quality new deck. 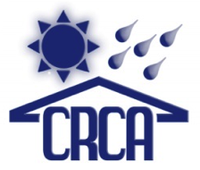 "I was very impressed w/the crew especiallyEric Rhodes, he..."
"andy sam and david the best"
A well maintained roof is essential to your home's weather resistance and value, which is why we offer complete roof repair for problems such as roof leaks, storm and wind damage, ice damage and more. If your roof is past warranty or irreparably damaged, we provide full roof replacement for a variety of roofing materials. If you're looking to transform your home's appearance, new siding installation and replacement windows and doors are great options. We install beautiful vinyl and fiber cement siding that will give you the curb appeal you want for your home. Our windows and doors will complete your new design while also improving your home's energy efficiency. Two generations of serving Southwest Suburbs of Chicago's home improvement needs have given Stan's Roofing & Siding a reputation for professionalism and high quality service. 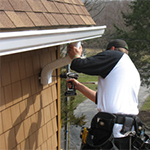 We offer roofing, siding, and gutter services to increase the value and safety of your home. Our high standards for craftsmanship and materials are well known by our customers, and we pride ourselves on our finished projects and satisfied customers. 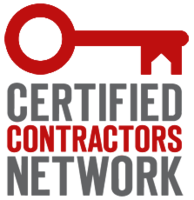 We are fully licensed and insured to complete work needed. If you're unhappy with the look or reliability of your roof or siding, it's time to make a change. Prolonging repairs or changes will only cause you more costly headaches in the long run. You need the help of an expert contractor and the experts at Stan's Roofing & Siding make the home improvement process easy. We will listen to your ideas and requirements and suggest the best options for your project at the right cost. Ready to get started on your roofing or siding project? Call us at 1-708-448-4100 or contact us online to schedule your free estimate! We serve homeowners in Bolingbrook, Naperville, Oak Lawn, Orland Park, Plainfield, New Lenox, Homer Glen, Mokena, Tinley Park, Frankfort and the surrounding areas.